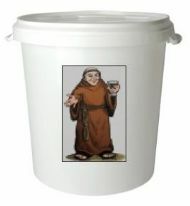 Looking for Wine Making Kits? Making HomeBrew Wine Just Got Easier With Our Top Quality Equipment. All equipment kits make 30 bottles of wine, except the 6 bottle starter kit. The Hambleton Bard Complete Wine Starter Set With Secondary Fermenter contains all the wine making equipment you need to make 30 bottles of great tasting wine, and it's a very cost effective way to get started. Perfect for a 5 or 7 day wine kit. But the one we recommend for most wine kits is the BrewSmarter Syphonless Wine Starter Kit. It's the only wine making kit we know of worldwide that gets rid of syphons (syphons typically cause all sorts of problems including oxidation, and bacterial infection). It doesn't have the bits you probably don't need, like shrink wraps and labels (you can buy these separately in the Equipment section). It contains everything you will need to make wines of a quality far surpassing those you can buy in a supermarket. If you really want to up your game and go for top quality wines that will mature in secondary fermenters for months, then go for the: BrewSmarter Premium Wine Starter Kit. 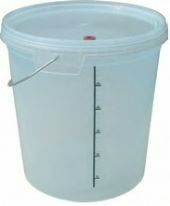 It comes with everything you will need including a degasser and a heating belt so that you can make wine all year round. 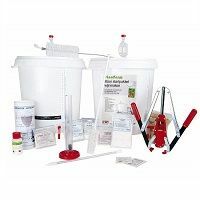 Wine making equipment starter kits don't contain a wine ingredients kit; you can find them in the Wine Ingredient Kits section. For beginners, we recommend the Australian Blend Pinot Grigio, a very drinkable white wine costing just over a Euro a bottle and ready to drink in just 7 days. The more expensive kits make superb wines, but take a lot longer to make.